Pre approvals… can you trust the advice you have been given? 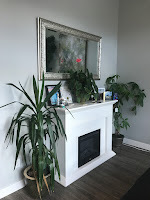 How many times have I had new clients walk through my door frustrated because their bank told them they were pre-approved for a new mortgage; and after presenting their accepted offer hearing they do not qualify for the mortgage they were told they could get? Lets just say it happens often. Many of you have heard about the “stress test” which has become a derogatory term for many. We are experts, our office has over 30 years in experience and specializes in mortgage loans, we are trained and licensed and follow the industry changes. What can you expect from Harmony Mortgage Group mortgage advisors? 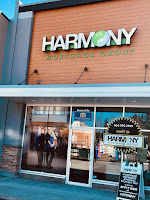 At Harmony Mortgage Group our licensed advisors have been trained to recognize each individual applicants needs at the time of the initial application. While we boast fast pre-approvals, these pre-approvals are true pre-approvals. Documentation is collected, credit is reviewed and scenarios are run with the client; giving them the confidence that they can write a “subject to financing” offer knowing they are pre-approved for a new mortgage loan. The advice doesn’t stop there, once a pre-approval is processed, a file is created and they client is able to get a 120 day rate hold while they are shopping. The rate hold protects them in case rates go up. As mortgage brokers we are invested in the outcome of the entire transaction. Unlike bank employees, as independent mortgage advisors, we are only paid once the transaction completes. It is in our best interest to see the mortgage through and make sure our clients get the best mortgage for their unique needs. But that isn’t where the relationship ends. We continue to advise out clients for the lifetime of their home ownership. As their life evolves and their housing needs change we are just a call away and are always ready to lend an ear and give advice on next steps. For some clients we are holding a pre-approval for 6 months to a year until they find the property that suits them best. Whether they are a first time buyer or they have owned multiple properties we tailor the advice we give based on our clients current goals while keeping in mind their long terms goals. We boast 1 business day pre-approvals, how do you start? just click the link to our fast online app, takes 5 minutes of your time. I have referred many clients to Harmony Mortgage Group and have heard nothing but amazing feedback about their customer service and knowledge when it comes to lending.